Slade now has it’s very own open submission Flickr Pool, for any relevant photo or video. Get adding your photos from now or any era. 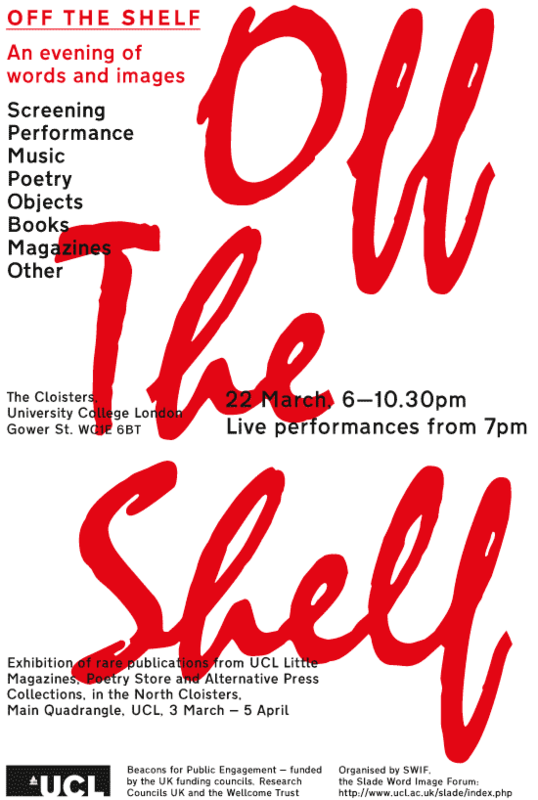 SLADE WORD/IMAGE FORUM will present OFF THE SHELF: PERFORMANCE, FILM, VIDEO, POETRY, MUSIC: an evening of live-events staged by the Slade School of Fine Art, UCL, to take place in the Wilkins North and South Cloisters plus the Old Refectory, March 22nd 2010, 6.00-10.30pm.